Next Step Connections has pioneered Virtual Internship Projects since 2017. Virtual internships provide students the opportunity to gain on-the-job training in professional settings without having to work on-site. Instead, internship hours are completed virtually. 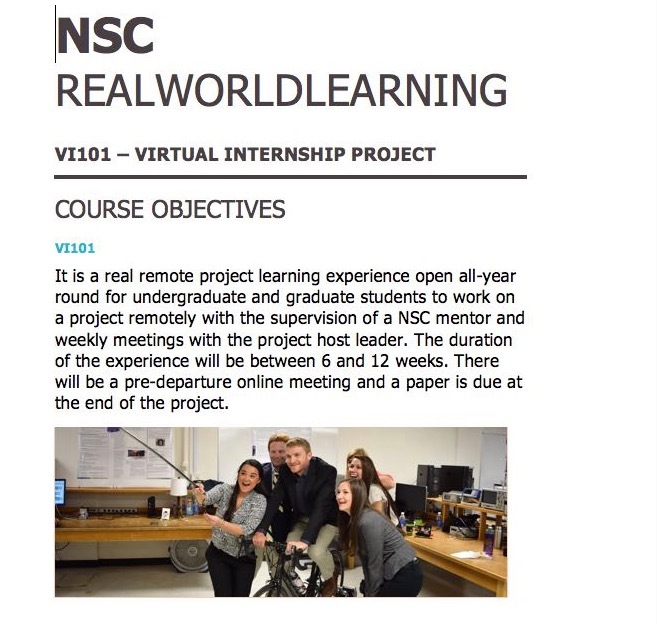 It is a real remote project learning experience open all-year round for undergraduate and graduate students to work on a project remotely with the supervision of a NSC mentor and weekly meetings with the project host leader. The duration of the experience will be between 6 and 16 weeks. There will be a pre-departure online meeting and a paper is due at the end of the project. Both place-based and virtual internship experiences allow students to obtain professional work experience in their chosen fields while applying skills and knowledge learned in other courses taken within their educational program. But virtual interns reap additional, unique rewards. They enjoy flexibility in fitting the internship experience into their busy personal and professional lives, since work can often be completed evenings and on weekends. They have the opportunity to learn from experts in their field regardless of their geographic location. They strengthen their information and computer skills as they employ technology to communicate with their site supervisor and conduct their work. 1. To complete a real global project assignment in collaboration with industry experts and mentors. VI Projects are only open to students enrolled at partners Universities. NSC will provide weekly updates on VI Projects progress and be available to answer any problem throughout the process. NSC will be the core communicator between students, university and company. Student Support: Once Students sign up, NSC staff will coordinate with students to confirm a placement. Every VI Project will have a dedicated NSC mentor. NSC Mentors will monitor the progress of the VI Project, answer questions, and help students grow throughout their VI Projects. University partners received dedicated attention to ensure curriculum are met. NSC will provide weeks updated on VI Projects progress and available to answer any issues throughout the process. NSC will be monitoring the communication between students, university and company to ensure a smooth process. Once students sign up, NSC will coordinate with students to confirm placement. Every VI Project will have a dedicated NSC mentor, to monitor the process, answer questions and help students grow throughout their VI Projects. Next Step Connections have partnered with startups and SME’s across Asia to offer virtual internship projects to students from your institution. Students will work remotely on mini-projects for 6-12 weeks with weekly interactions with a mentor from their host companies to achieve meaningful deliverables and learning outcomes. Each project is unique and will expose the intern to critical professional skills vital to their entrance into the workforce. We welcome universities from all locations to participate in our virtual internship projects marking a milestone in leveling the playing field for young talents regardless of economic capabilities. 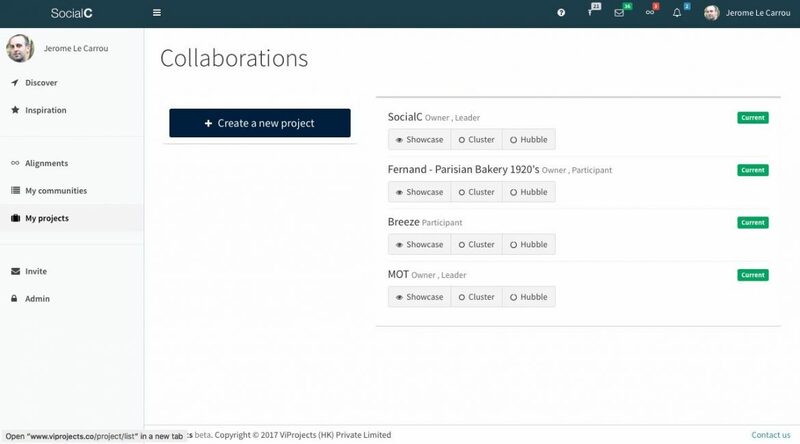 Combining the experience of a real internship with innovative virtual collaboration tools, the virtual internship projects is opening a new door for professional training.